Under this Christmas tree, you'll notice a lot of presents. You'll see gifts wrapped with care and excitement. You'll notice that each gift has a little card written out with love and a fun little sentiment. Under this Christmas tree there is no room to walk because of the gifts around it. But you will notice something else about this Christmas tree. If you lay down under it, as I have many times this Christmas season, you will feel peace and security. By the light of those twinkly lights there is a story. A story about two young kids who fell in love and built a family. Some years, the abundance of gifts were amazing and thrilling. Other years, you would only find a few that were bought my scrimping and saving all year long. For most years, there wasn't much under that Christmas tree in the material sense. Every year, though, there was the story of two people who fell in love by the light of that tree. Memories have always been made, ornaments hung, and life has gone on - with or without gifts. See, the gifts - although wanted, of course - weren't what was most important. What was always at the forefront of the Christmas season was this tree. This Christmas tree that made everything warm, cozy, and light. Each year, as my husband puts up this tree and makes our living room look magical, my love for him grows. Each Christmas that passes by gives me the best gift no one could buy. The gift doesn't fit under that Christmas tree. That gift is what I always wanted, craved for even. Each Christmas season, I am reminded how lucky I am. I am in awe of what blessings I receive each year. Each year makes another year that I am honored by being his wife. I fall in love again and again each year. It may sound weird or odd that a Christmas tree brings these feelings on, but it's ours. 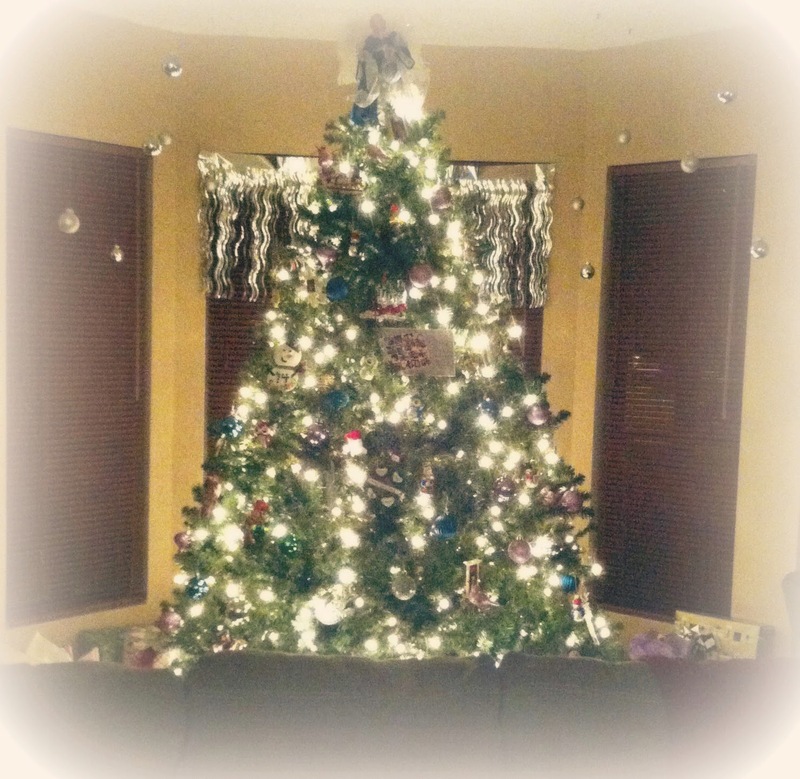 Our tree, our decorations, our love poured into each detail. I love how excited my husband gets at this time of year. He makes our home everything he ever wanted to show our children what love can do. Love gives us a feeling of warmth, merriment, and joy. He pours out his whole heart into each detail of our home during this season. Each detail makes me fall harder and harder each year. See, it doesn't matter what's under that tree. Under that tree are gifts, yes....but oh the love that is under our Christmas tree is a gift of a lifetime. ...is the story of us.